Piece of Cake Party Supplies » Disney Minnie Mouse Pink Mini Stamper Birthday Party Toy Favour and Prize Giveaway (6 Pack), Magenta/Baby Pink, 1″ x 1 1/2″. Oh Toodles! 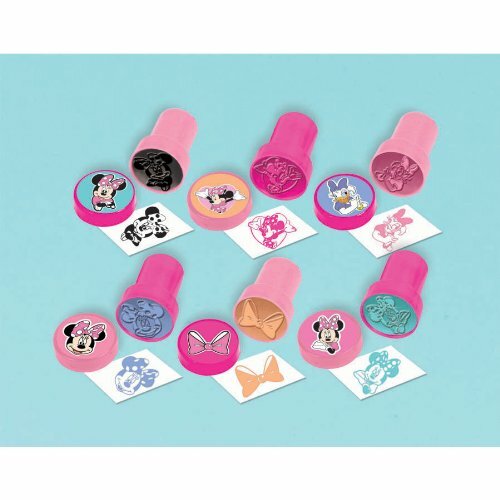 Start stamping or create a fun mouseketeer activity with this Minnie Mouse Mini Stamper Set. It’s also perfect as a party favor, gift, or goody bag stuffer for a kid’s birthday party.